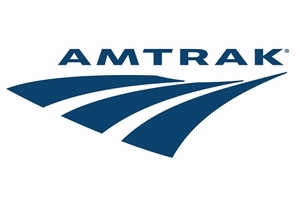 Amtrak offers 10% Discount Off Lowest Available Rail Fare to Alexandria, VA for VSNC Participants. Amtrak has announced it is offering a 10% discount off the lowest available rail fare to Alexandria, VA for travel between September 25, 2016 – October 06, 2016 for Virginia Statewide Neighborhood Conference participants. These dates include travel up to three days prior to the conference start date on Friday, September 30, 2016 and three days following the last day of the conference on Saturday, October 1, 2016. To book your reservation call Amtrak at 1-800-872-7245 or contact your local travel agent and refer to the Conference Fare Code X33B-949 when making your reservation to receive the 10% discount. NOTE: Conventions cannot be booked via Internet. This offer is not valid on the Auto Train and Acela service. Offer valid with Sleepers, Business Class or First Class seats with payment of the full applicable accommodation charges. Fare is valid on Amtrak Regional all departures seven days a week, except for holiday blackouts. Amtrak thanks you for considering them in your travel plans.